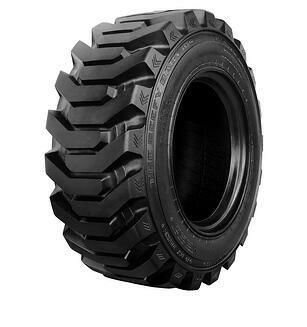 The Building Construction Products Division of Caterpillar, Inc., presented the Alliance Tire Group (ATG) with a fourth-quarter 2015 Business Continuity Planning award in recognition of the company’s perfect performance in supplying Galaxy Beefy Baby tires to Cat’s Sanford, NC, plant. Alliance delivered Beefy Baby tires to Sanford with 100% accuracy, 100% on-time performance and no rejections, lost materials or changes in forecast. “We are extremely pleased that we are meeting Caterpillar’s high standards for quality and delivery. We are able to do this thanks to our global team and our great working relationship with Caterpillar,” said Domenic Mazzola, Vice President of OE Sales for Alliance Tire Americas, Inc. in Wakefield, Massachusetts. “Achieving excellent performance is an effort that draws on the skills and commitment of everyone from the factory floor to logistics, marketing, sales and customer service. This award recognizes the outstanding dedication to service throughout the ATG organization. “It is exciting to see Galaxy Beefy Baby tires playing their part in making Caterpillar’s skid steers such high-performing machines, and it is an honor to work with the Sanford team,” Mazzola added. Alliance brands—Alliance, Galaxy and Primex—are original equipment on a wide range of machinery built around the world by many of the biggest names in the business, including Caterpillar.